Among the many expressions of gratitude from local councillors, the poignant and gracious letter from Shirley Mortimer stood out (News Guardian, May 12). Shirley represented the people of Cullercoats ward for many years with great distinction and commitment. As she reminded us, the re-selection process that all councillors undergo saw her dumped by her local Conservative Party and not re-selected to contest the Cullercoats seat she had held for so long. Shirley will have been heartbroken that her seat was then lost to the Labour Party in the elections. There can be little doubt, given her tremendous following and considerable achievements, that Cullercoats would have remained a Conservative seat had Shirley been standing again. David Lilly, referring to the loss of his seat in Tynemouth, infers that he knows why he lost. The reason is obvious – that after eight years as councillor he failed to persuade enough people to vote for him. 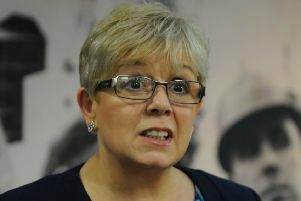 Coun Judith Wallace expresses optimism that the Conservatives “will be successful again”. I seriously doubt that. Whilst boasting that turnout in St Mary’s Ward was the highest in the borough, she failed to notice that her vote share decreased by 74 per cent since she was re-elected in 2012. St Mary’s has traditionally been one of the safest Conservative council seats in the country, yet on this evidence the Conservative vote is in freefall. There are two serious points to be made. One is that local Conservatives are haemorrhaging votes at an alarming rate. On present trends, I predict that in a few years there will be no Conservative seats left on the council. Whatever your political views, the fact is that local democracy is badly served as a consequence because there are no opposition parties with the capacity to challenge the ruling Labour group, or hold it to account. The local Conservative Party has lost its big hitters – people with the expertise to provide robust political opposition and leadership. The fact that Tynemouth and Cullercoats wards were lost this year (with three Conservative seats lost last year), and that the Conservative vote in hitherto safe wards is in rapid decline, points to a lack of cohesive strategy to reverse the number of voters deserting the party. The second point is that the local party must get to grips with a divisive culture. Whilst it is too late to revoke the decision-making that led to the loss of dedicated people like Shirley Mortimer, it is never too late to improve internal standards and values.